Last night(January 8th) Lea Michele hit the black carpet for the premiere of FX 'The Assassination of Gianni Versace: American Crime Story' at ArcLight Hollywood in LA. 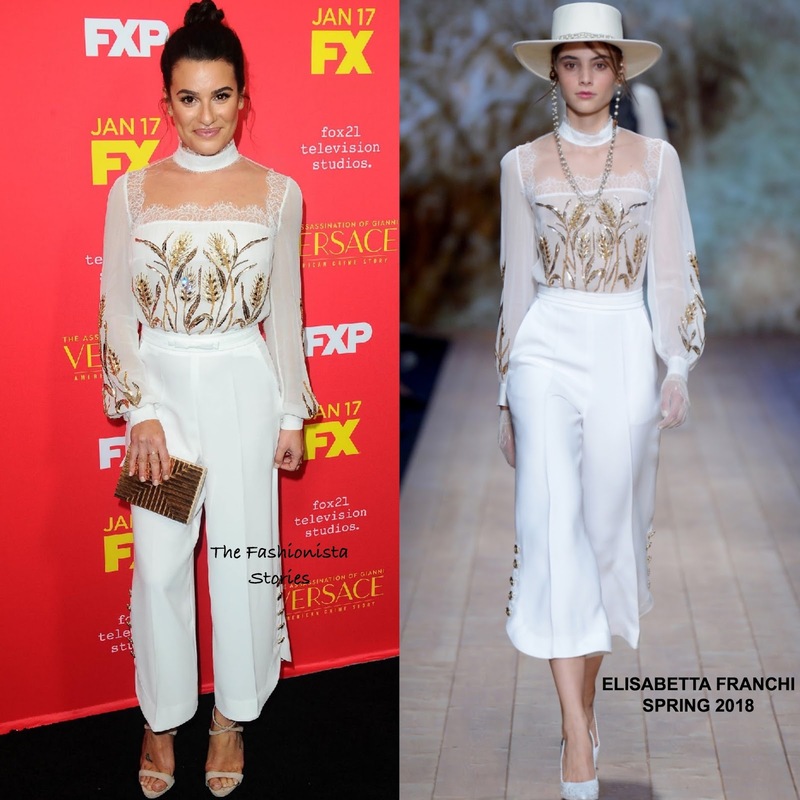 Working a chic look, she wore a ELISABETTA FRANCHI SPRING 2018 white and gold long-sleeve sheer embroidered lace jumpsuit with a mock neckline and crop trousers. Beauty wise, she kept it simple with a high bun and minimal make-up. HEARTS OF FIRE & LE VIAN jewelry, a LEE SAVAGE clutch and GIUSEPPE ZANOTTI sandals topped off her look.